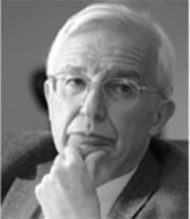 Jean-Marie Lehn is co-winner of the 1987 Nobel Prize in Chemistry for his work in supramolecular chemistry, the science that Xeltis used as the basis for its self-healing implant technology. He is recognized as a pioneer in supramolecular chemistry, a term he first coined. Professor Lehn is currently active on a number of scientific advisory boards, including those of Xeltis, Novartis Venture Fund and Reliance Industries Ltd. He is the director of the Supramolecular Chemistry Laboratory at the Institute of Supramolecular Science and Engineering in Strasburg, France, and until recently headed the chemistry laboratory at the Collège de France. Professor Lehn has also served as a visiting professor at a number of prestigious institutions, including Harvard University, E.T.H. in Zürich and the Universities of Oxford, Cambridge, Barcelona and Frankfurt. His work has been published in hundreds of articles in peer-reviewed chemistry literature. He is a member of several National Academies of Sciences including those of France, the United States and Russia as well as the recipient of countless prizes and distinctions.